You walk through a brick entryway, close enough to the King's Cross railway station to suspect you are in the right place, but there is no obvious signage. If you haven't looked at the map you might wonder what is behind the brick, because although the map shows it for the aimless and mapless wanderer it is something you simply stumble upon. You pass through the brick entryway, a diagonal slant one way and then another...and then there it is. A whirl of people and shops and a feast for the eyes as everywhere you look, every detail, is perfect. You are a muggle who has found the elusive Diagon Alley of Harry Potter fame. One of the things about which I am asked most about during our recent holiday is our visit to Universal in Orlando and Diagon Alley, the new Harry Potter-themed "neighbourhood" in the park. 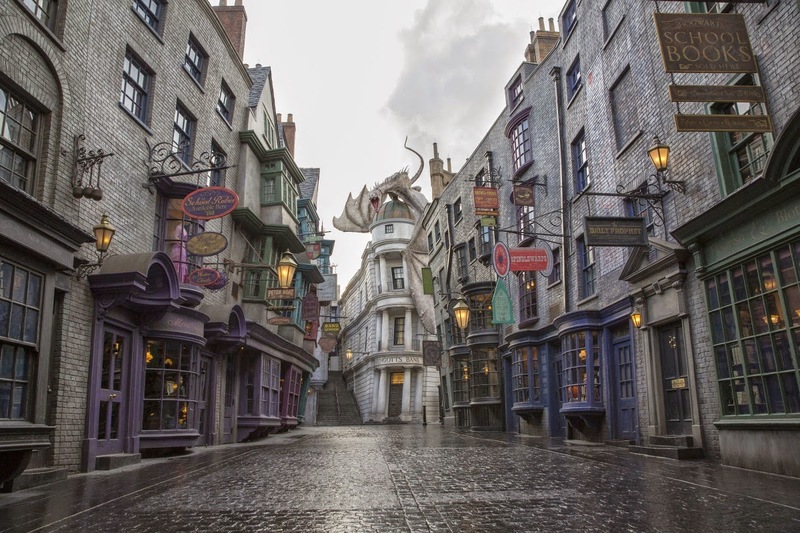 While Hogsmeade had been present at Universal's Islands of Adventure for some time, Diagon Alley opened up just recently at Universal Studios Orlando, and since the opening it has proven to be a smash success - and I am not surprised. 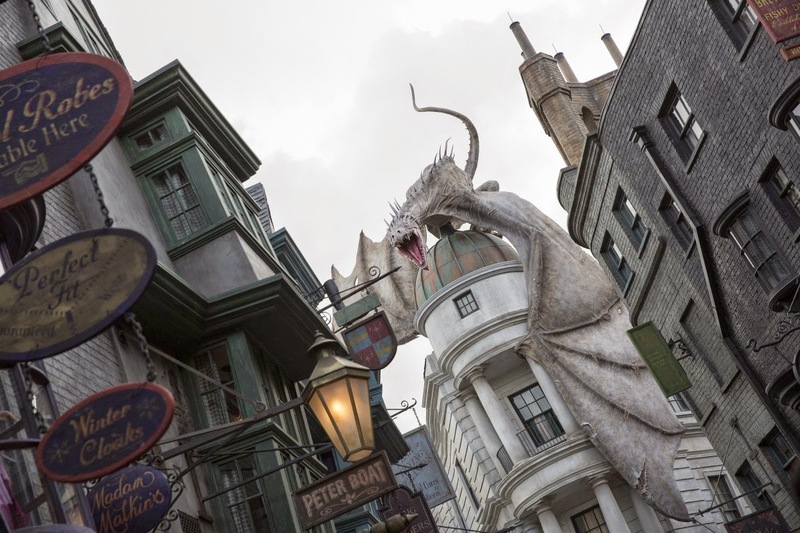 The story floating around Orlando as told to me by a cab driver is that Warner Brothers, owners of the Harry Potter movie series and rights, were originally in talks with Disney to build a Potter-themed park. Disney after all has substantial property available, but talks broke down - the driver speculated it was because Disney has a certain way of doing things, and one not all other corporations can agree with. Warner Brothers then began talks with Universal, and the successful culmination of these talks has resulted in a theme park that is, well, to coin a phrase, a bit magical. One of the hallmarks of a Harry Potter fan is their attention to details. 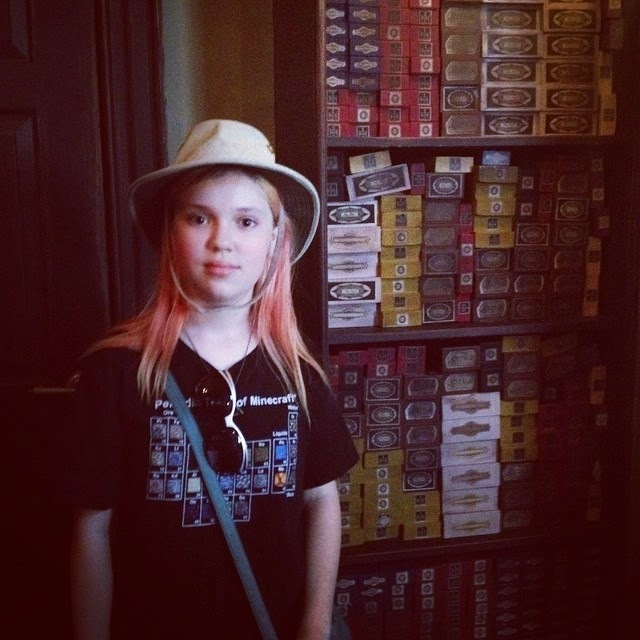 The Intrepid Junior Blogger can recite minute details from the books, things that baffle me as while I read the series long before she dived into them I don't think I memorized the details in quite the same manner. But her "fandom" includes knowing those details, having a strong sense of every single one, and it seems the designers of Diagon Alley do too. From the architecture of the buildings to the costumes of the staff members every detail makes you believe you are in Diagon Alley. 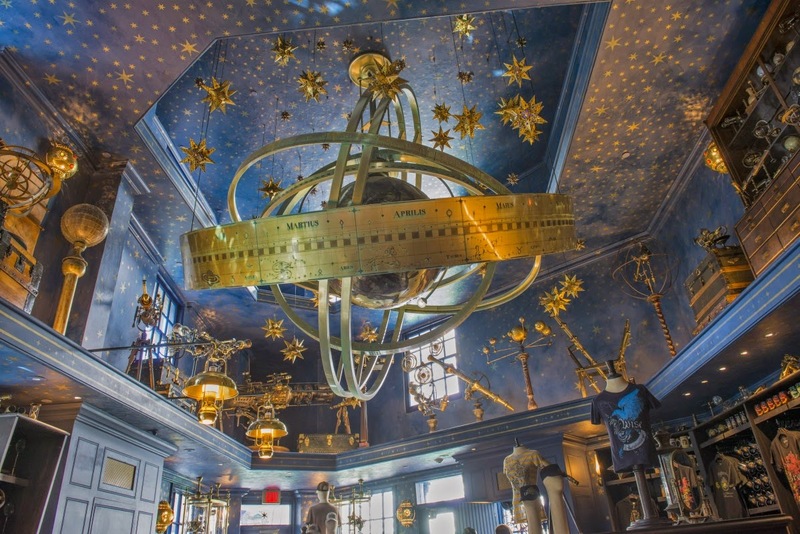 You can stop for a butterbeer (and you should, as they are delicious), you can have lunch at The Leaky Cauldron, and you can shop at Ollivander's to find your wand. 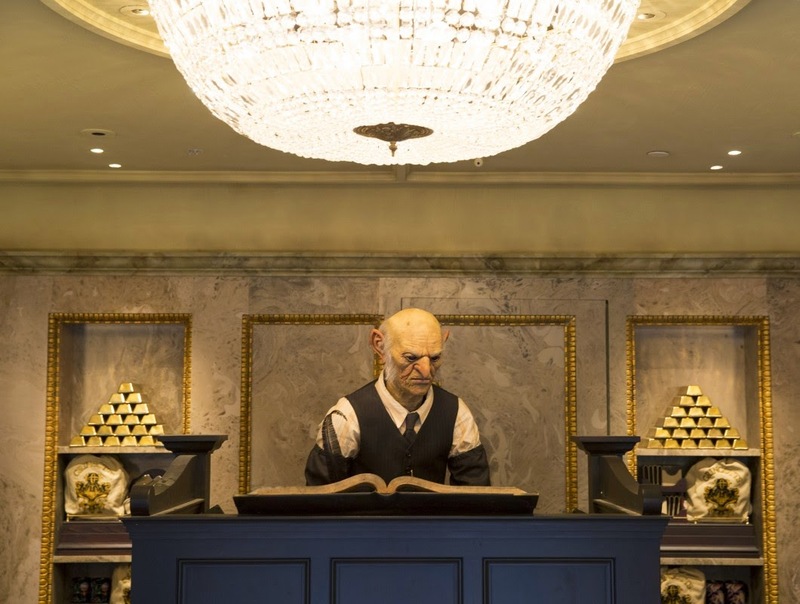 You can visit Gringrotts Wizarding Bank and you can even wander through Knockturn Alley (where you will find Borgin and Burkes, the darker side of the wizarding world). In just a few short moments you can truly feel immersed in the world of Harry Potter and his friends. Now, while it is magical for children as someone who has learned a bit about marketing in recent years I saw it through those eyes, too. 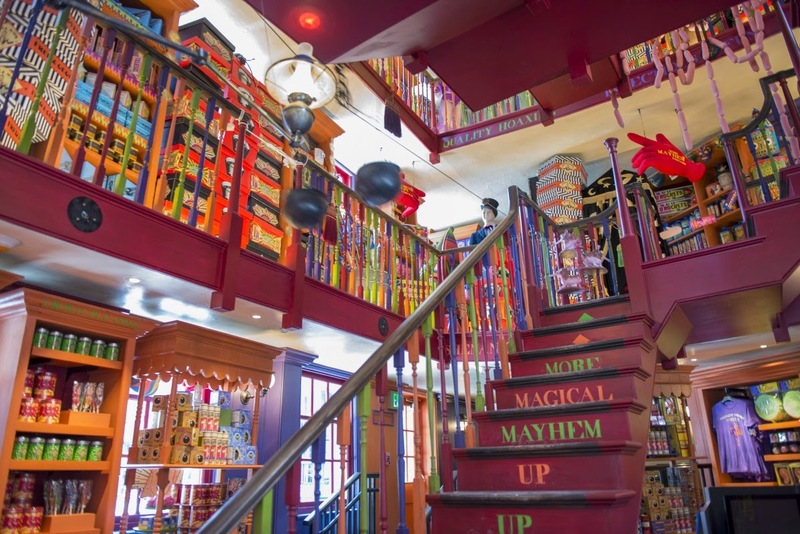 It is a magnificent example of how to part adults from their money, as witnessed by the thousands of people cramming into the shops to buy Bertie Bott's Every Flavour Beans, Golden Snitches, brooms, wands, wizard robes, stuffed animal "familiars", quill pens, notebooks, key chains, hats, sweaters, scarves, gloves...if you can think of it then it has been produced and is being marketed (I say as I drink my morning coffee from my new cauldron-shaped coffee mug, purchased at Scribbulus, the stationery shop in Diagon Alley). I have not yet added up the receipts for all the items we purchased over the two days we spent at Universal, most of it in Diagon Alley. I suspect we came home with one of everything Slytherin, the house to which the Intrepid Junior Blogger insists she would be sorted (she suggests I am Hufflepuff, which I think is meant to be a slight insult but I think there could be far worse things than being considered loyal). 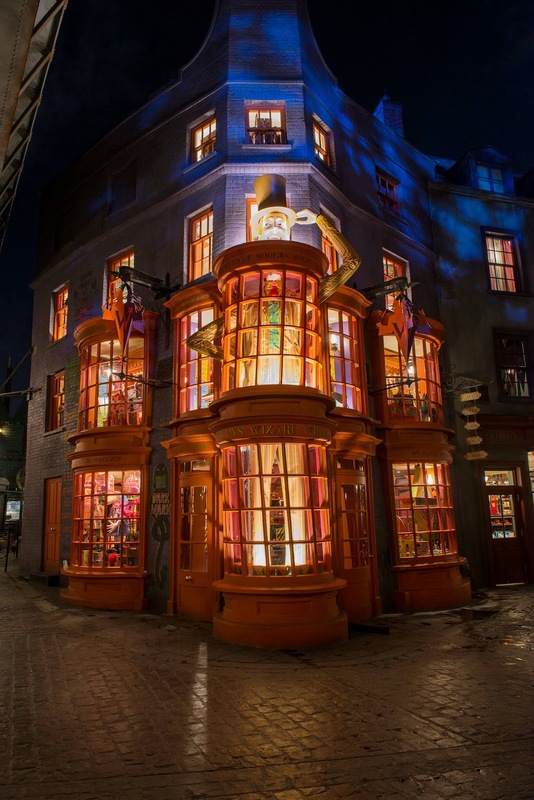 That Diagon Alley is a genius of marketing should not be doubted for a second, and I would suggest muggles and their money will quickly be parted when fans of all ages enter the shops and the squealing begins. But this should not detract from the magic, either. I suppose it truly presented itself to me not through the buildings or retail offerings but the staff employed in the shops who are immersed in Harry Potter lore. When we went to Ollivander's Wand Shop I did not initially plan to get a wand, right until I met the lovely older lady in the shop. "What do you love to do? ", she asked me. 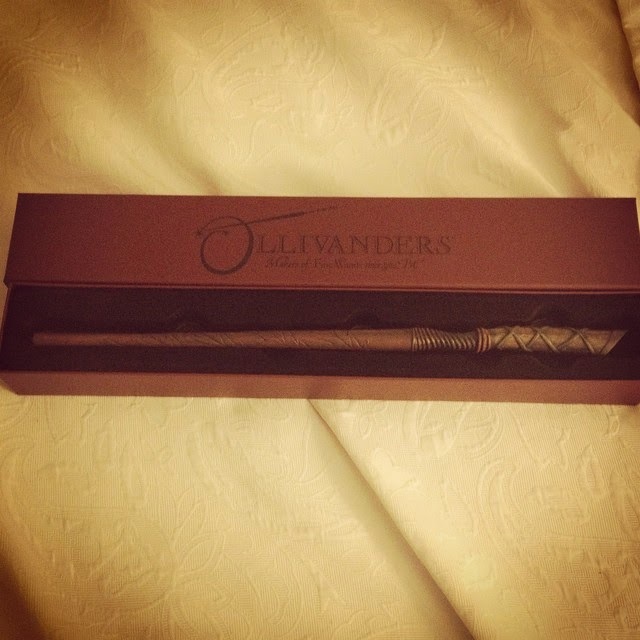 "I'm a writer," I replied, and she pulled out a slim burgundy coloured box containing a slender wand. 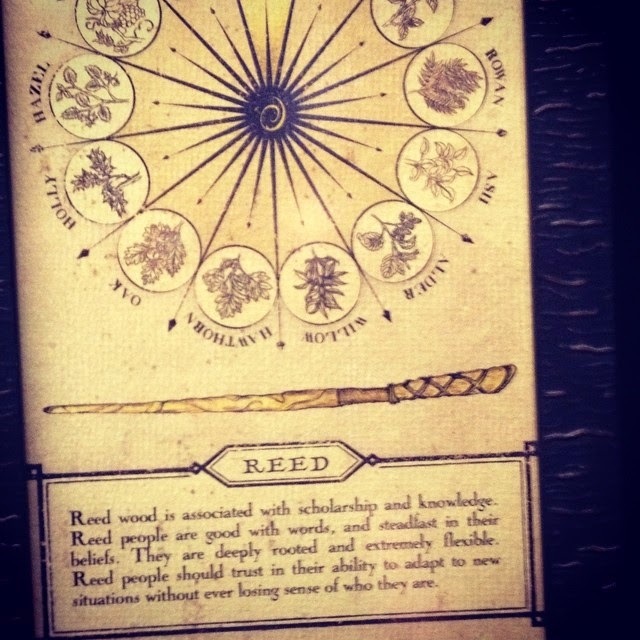 "Reed," she said. For those good with words, steadfast in their beliefs but fair. Dragon heartstring core - a wand for you, I think," she said, and dropped it into my hands without another word, no admonishment to buy. I took the wand out and felt it, ran my fingertips along its length, and finally put my right hand around its grip, finding it resting almost perfectly there - and then I bought it, along with the wand that had chosen the IJB. We spent two days at Universal Studios, and while we visited other rides and other areas of the parks, including travelling between them on the Hogwart's Express which ferries guests between the two parks (another marketing genius as it encourages the additional purchase of the park-hopper option as the only way to ride the Express is to have the pass) it was Diagon Alley that captured us in every way. The most time we spent was in Diagon Alley, where we immersed ourselves in the wizarding world, two Canadian muggles far from home - except for anyone who has read Harry Potter or watched the movies it felt like home somehow, too. 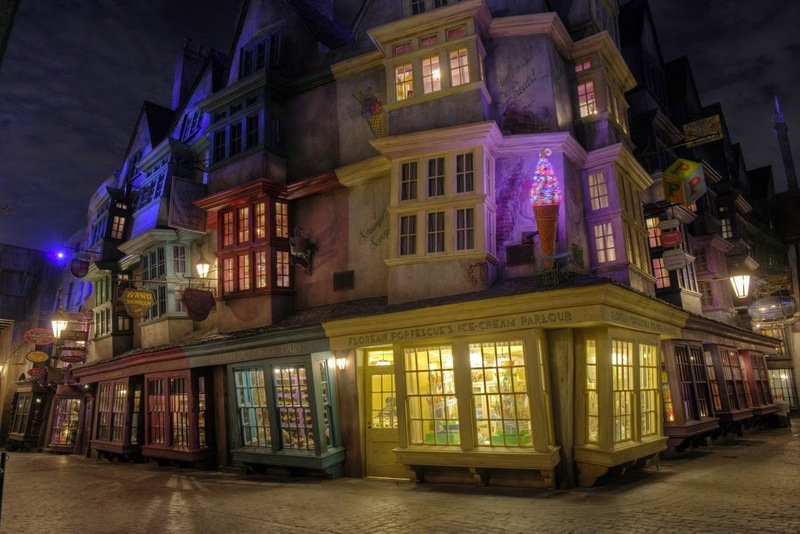 There is one strange thing about Diagon Alley, though. We entered as muggles but I think somehow we left as witches. Perhaps that is the real magic of Diagon Alley and the entire Harry Potter world - because every single muggle knows in their heart that they are a wizard. Sometimes you just need to spend some time in a wand shop to know for certain. How Does McMurray React to Celebrity Visitors?